As seasoned cruise travellers, we still get a buzz from trying out new ships and this summer we decided to take a family cruise to the Norwegian fjords on Balmoral – the fifth ship to join Fred.Olsen’s expanding fleet. Named in honour of the Scottish Royal estate, the vessel was originally built in 1973 as Crown Odyssey and renamed Norwegian Crown by its then owners, Norwegian Cruise Line, before being purchased by Olsen. More importantly, prior to joining the fleet in February 2008, she was the subject of a major feat of engineering, as Balmoral was literally cut in half and a new 30.2metre mid-section slotted in, extending the ship’s length to 218.18m. The new section provides additional public areas, plus an extra 200 cabins, many with balconies, boosting the capacity from less than 1,000 to 1,340. There’s also a wider selection of suites to choose from, including the 430sq ft Premier Suite, Marquee Suite, Superior Suite and Balcony Junior Suite, all offering luxury accommodation and private balcony. Several cabins were also converted from multiple to single occupancy to offer passengers a greater choice and flexibility of cabins – a key Fred. Olsen feature. We had selected a 13-night North Cape cruise, which tied in with school and university summer breaks for our two sons, Scott 13 and Adam, 20. With no flying involved, we didn’t have to encounter the usual frustrations of crowded airport lounges, long queues, delayed flights and baggage handling. Embarkation at Dover Cruise Terminal was relatively stress-free and our luggage was whisked away by baggage handlers the moment we drove up to the berth. Checkin was equally swift and we were able to board shortly after we arrived – an excellent start to the cruise! Our accommodation consisted of two adjoining outside cabins and facilities included en suite bathroom with shower and hairdryer, comfortable beds, an interactive flatscreen TV, mini-safe, phone and tea/coffee maker. The dressing table was strangely designed as it had no drawers for jewellery, watches and other bits and pieces. However, apart from that, we were satisfied with the accommodation. The large picture windows gave us an excellent view of the outside world and satellite TV enabled us to keep up with world news, although the pay-as-you-view movies (at £4.95 a time) soon added up over a 13-night cruise. A better option would have been to have a cinema onboard, or to screen movies in one of the main lounges which have drop-down screens for port lectures, etc. Although the ship is more spacious than some of her fleet-mates, she manages to retain the friendly, traditional British atmosphere Fred. Olsen is renowned for. There are a number of spacious lounges and the entertainment was generally of a high standard throughout the cruise. You also don’t have to go far for a drink. There are plenty of bars dotted throughout the ship, while the Poolside Deck is popular for sail-away parties, ice carving and other special events. The resident band and singer often came on deck to entertain as the ship sailed in and out of port, adding a carnival atmosphere to the occasion. The Morning Light Pub has a nautical theme and depicts a century and a half history of Fred. Olsen Cruise Lines. The venue is reminiscent of a British pub with passengers enjoying a pint whilst listening to resident pianist/singer, Robin Rose, or competing in quizzes and games like golf putting and dolphin racing (the wooden version!). Our favourite place was the Observatory Lounge on Deck 11, at the front of the ship. It offers panoramic views of the passing scenery and was particularly popular when cruising through the fjords with its majestic snow-capped mountains, cascading waterfalls and colourful riverside houses. Binoculars are provided in holders by a number of tables and it’s a relaxing setting to have a quiet drink and watch the world go by whilst listening to pianist Sam de la Haye gently tinkling the ivories. The mood changes at night with the resident DJ taking over for a dance party. With a wide variety of onboard activities, we liked to participate in the deck sports and organised events, competing against other passengers in deck quoits, shuffleboard, golf putting, table tennis and darts. 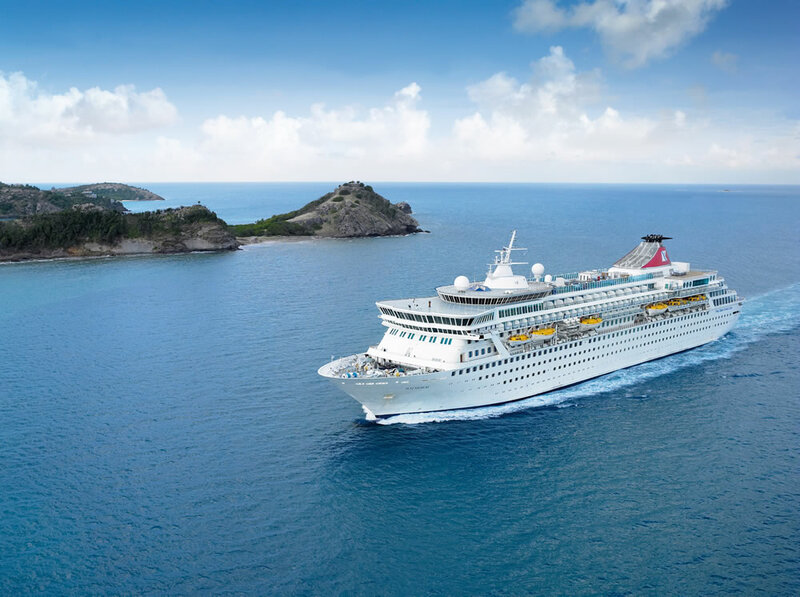 The winners were awarded prize points which were exchangeable at the end of the cruise for Olsen-branded merchandise such as coffee mugs, key-rings, sun visors and sports bags. The activities were an excellent way of making new friends – and to see who could collect the most prize points by the end of the cruise! Facilities include a well-stocked library, card room, casino, art gallery and an internet centre. There’s also a couple of shops selling clothes, perfume, cosmetics, makeup, jewellery and watches, all at duty free prices, as well as basic items such as sun cream, photographic film and toiletries, in case you’ve forgotten anything. If you’re into fitness or keen to work off any extra inches, there’s a well-equipped Fitness Centre, which offers state-of-the-art gym equipment where you can work out to your heart’s content whilst enjoying a bird’s eye view of the outside world through large panoramic windows. Our older son, Adam, favoured the fitness centre, whilst my wife and I preferred the mile walk, which was four laps of the ship. Scott wasn’t fussed about either and was content just lying on a sun-lounger listening to his iPod! A Sauna and Steam Room, the Atlantis Spa and a Hair Styling Salon complete the picture of the wide range of onboard amenities. The restaurant you dine at is predetermined, usually by which deck your cabin is situated on. There’s the Ballindalloch Restaurant on Deck 6, with imaginative nightly menus; the Avon Restaurant, with an intimate and unique dining atmosphere; and the Spey Restaurant (both on Deck 10) which is similar. Finally, Palms Cafe is an informal self-service restaurant on Deck 7 with open seating from 6.30-9pm. We dined at the Ballindalloch Restaurant where the Jr. Assistant Maitre D’ Edison Pangilinan (nickname “Sunny”), who we had met on previous Olsen cruises always came over to ask us if everything was okay and for a brief chat, which made us feel welcome.